We’re working hard to keep you updated with important announcements, as well as software “tips and tricks” to help you get the most out of SpendMap. Need Some Help with SpendMap? If you have a question about how to use your fancy new Purchase Order software system, please log a support ticket. Support is free, just like the software. 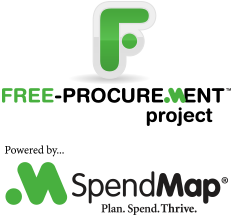 For general questions or comments, you can send e-mail to free-procurement@spendmap.com or use our Feedback Form. Thanks very much. We really appreciate your input.